I don't get cable (or enough reception from the antenna to watch network television), so I listened to the Giants last night on AM radio. My version of the big game took place all over Oxford - in the truck on my way to Kroger and back, the rhythmic static louder beneath the Highway 7 overpass and the bottom of University Avenue; sitting in my reading chair with Boone unsure of the enthusiastic timbre on the stereo. Because I go to bed early, I walked Boone during the crucial fourth quarter. The weather in Oxford was balmy and wet, still in the sixties hours after nightfall, and on each block we saw cars gathered outside homes where people congregated to root for the home team. Streets were quiet enough, except for the sound of cars and the light rain, to hear cheers all over Oxford each time the Giants defense stopped the Patriots. The big chorus that followed New York's last great drive was so overwhelming that it gave me a better sense of the city's geography and size than a drive through town on a game weekend ever could. 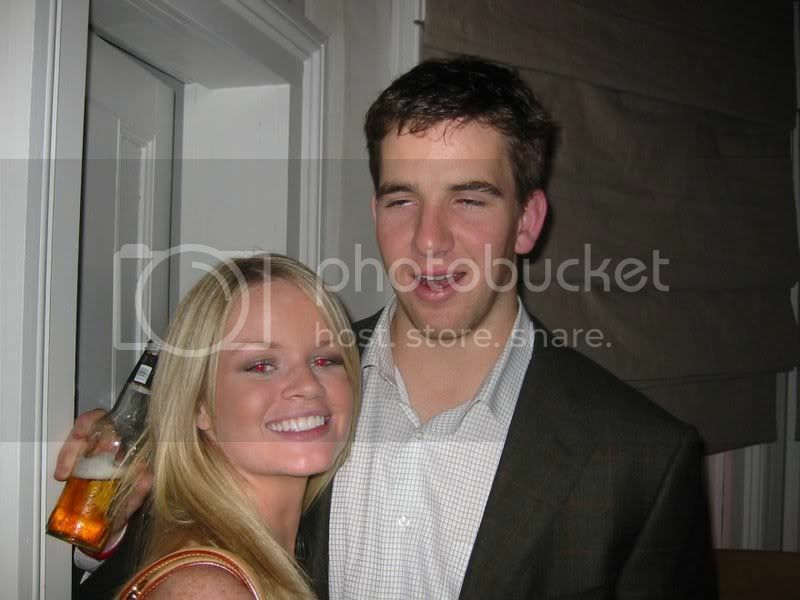 I never liked Eli Manning because he acted like a jerk during the draft, but everyone's entitled to a second opinion. Way to go drunky.